XYMAX Corporation (head office: Minato-ku, Tokyo; Representative Director: Kenji Yoshimoto) (“XYMAX”) will open its first karaksa hotel in Tokyo. Two hotels are scheduled to open in the Ginza and Yaesu area in 2019. 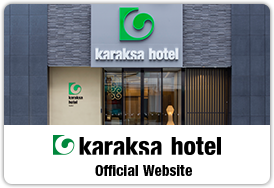 Construction planning of "karaksa hotel Shin-Osaka Premier" (temporary name) started. Establishment of Valor Max Co., Ltd.
Satellite Office with Kids' Space Network Shared by Companies – Experiment Started. Yugen Kaisha Xymax Senpal, a fund managed by Xymax Real Estate Investment Advisors Corporation, received the "Green Star" in the GRESB Survey. Thank you very much for your continuous support for Xymax Group. This is to inform you about our plan to reorganize group companies in October. Xymax Corporation (Head Office: Minato-ku, Tokyo / Representative Director: Masafumi Shimada) announced a director change. Xymax Corporation (headquartered in Minato-ku, Tokyo and headed by representative director Masafumi Shimada) acquired the property shown below. Xymax Group would like to greet you and thank you for your continued support. Xymax Corporation (“Xymax E has sold an office building and portfolio of residential assets to the core Asia real estate strategy managed by M&G Real Estate Asia. We are delighted to announce that Yugen Kaisha Xymax Senpal, operated by Xymax Real Estate Investment Advisors Corporation, has been awarded a ”Green Star Eby GRESB based on the survey. Xymax Corporation announces Refreshment Break Sponsor of the Real Estate Investment World Asia 2014 (REIW Asia 2014) to be held on 24-26 June in Singapore. Xymax Akasaka 111 Building, owned by Xymax Corporation, has been awarded a certificate from Sumitomo Mitsui Banking Corporation. Xymax Corporation ("Xymax", Tokyo, Japan, CEO: Masafumi Shimada) announced the acquisition of trust beneficial interests backed by the properties described below. SG Realty Co., Ltd. (“SGR E and Xymax Corporation (“Xymax E have established SG Asset Max Corporation (“SGAM E, an asset management company to run an unlisted open-ended real estate investment trust (“Private REIT E.
Xymax Corporation (“Xymax E announces the completion of expansion of its headquarters building in Akasaka, Minato-ku, Tokyo. Xymax Corporation (“Xymax E acquired an asset described below. The building is perfectly located in an office area along Hibiya Street in the northeast corner of the Nishi Shimbashi 2-chome intersection. The acquired property, completed in 1991, is an elegant stone-walled office building in a convenient area with five subway lines. appeared on Green Building Online Portal. Xymax Corporation ("Xymax": Tokyo, Japan, CEO: Masafumi Shimada) announced that it has established a special purpose company (SPC) to acquire the property described below. Xymax Corporation announces Silver Sponsorship of the 4th Asia Global Real Estate Institute (Asia GRI 2013) to be held on 19-20 March in Singapore. Xymax Corporation is entering the Korean market with the launch of a subsidiary K-MAX Co., Ltd. and the purchase of shares in One Mount Co., Ltd.
Nearly 60 global real estate professionals from investment firms, law firms and accounting firms based in Singapore participated in our Chinese New Year Event on February 21. Xymax Corporation’s head of Global Marketing Department Ryuhei Mori gave a presentation and joined the panel at Japan Investment Briefing hosted by Europe’s leading real estate magazine publisher on November 13, 2012 in London. Xymax Tameikesanno Building, owned by Xymax Corporation, has been awarded a certificate based on SMBC Sustainable Building Assessment Loan. Xymax Corporation is delighted to announce the opening of the Singapore Representative Office. Notice of Acquisition of Shares in Abilitas Hospitality Co., Ltd.
Based on the track record and expertise in managing properties of chain store operators, we aim to create values for our clients and provide better services by seeking specialty services.